Endeavour STS-123 Back On Earth! 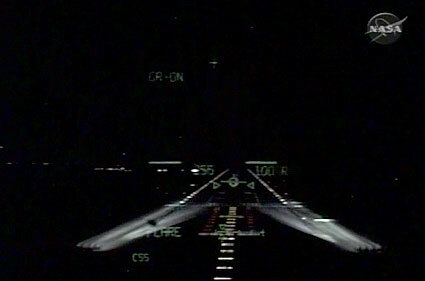 What a cool night landing! STS-123 was forced to land after the sun went down when officials called off the first deorbit burn. 16 days in space and almost 150 earth orbits. Endeavour rolled in throwing flames down the runway. Out of the shuttle’s 68 landings at Kennedy, STS-123 was the 16th to take place at night. 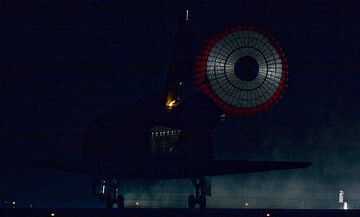 Space shuttle Endeavour returned to NASA’s Kennedy Space Center in Florida at 8:39 p.m. EDT, concluding the STS-123 mission with a flawless landing on Runway 15. 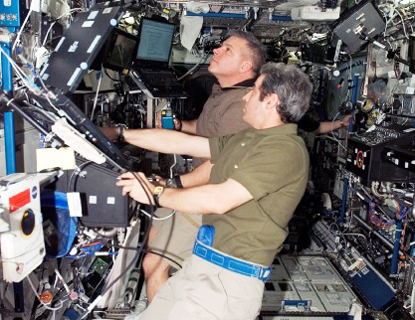 The 16-day assembly mission was the longest flight to the International Space Station to date. This is a most awesome video of the landing! Plasma is a phase of matter distinct from solids, liquids, and gases. It is the most abundant phase of matter in the universe — both stars and interstellar dust consist of plasma. Although it is its own phase of matter, plasma is often referred to as an ionized gas. The central element in a fluorescent light is a plasma, a gas made up of free-flowing ions (electrically charged atoms) and electrons (negatively charged particles). Under normal conditions, a gas is mainly made up of uncharged particles. That is, the individual gas atoms include equal numbers of protons (positively charged particles in the atom’s nucleus) and electrons. The negatively charged electrons perfectly balance the positively charged protons, so the atom has a net charge of zero. Space shuttle Endeavour undocked from the International Space Station at 8:25 p.m. EDT, ending its 12-day stay at the orbital outpost. After the STS-123 and Expedition 16 crews bid one another farewell, the hatches between the two spacecraft closed at 5:49 p.m.
STS-123 arrived at the station March 12, delivering the Japanese Logistics Module – Pressurized Section, the first pressurized component of the Japan Aerospace Exploration Agency’s Kibo laboratory, to the station. The crew of Endeavour also delivered the final element of the station’s Mobile Servicing System, the Canadian-built Dextre, also known as the Special Purpose Dexterous Manipulator. Endeavour is scheduled to land at Kennedy Space Center, Fla., Wednesday. 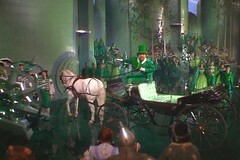 Check out what was involved in the making of this scene in The Wizard of Oz movie without the convenience of digital enhancement. 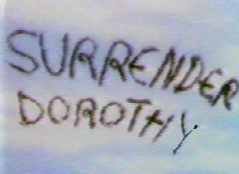 Originally the image above was going to read: “Surrender Dorothy or die WWW”. 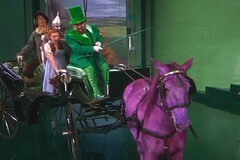 It was later edited to the two words “Surrender Dorothy”. When the GeoEye-1 surveillance satellite comes online this spring, its advanced optics will produce more-detailed images than any commercial satellite, capturing objects as small as home plate on a baseball diamond and filling in the fuzzy spots on Google Earth. Equipped with the most advanced technology ever used in a commercial remote sensing system, GeoEye-1 will collect images with the ability to pinpoint an object’s position on the ground within nine feet. 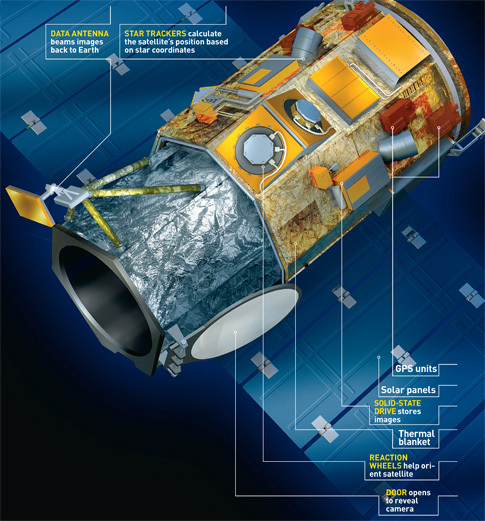 Scheduled for launch by a Delta II rocket on 22 August 2008 from Vandenberg Air Force Base, California, the 4,400-pound GeoEye-1 will blast 425 miles into space traveling in a sun-synchronous orbit and able to adjust its orbital altitude by 60 miles, which it will need to do to maintain a consistent view of Earth: Atmospheric drag and pressure from solar winds will gradually push the satellite down. 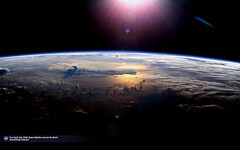 The satellite’s expected life is seven years. Every single American bank note is printed at The Department of The Treasury Bureau of Engraving and Printing facilities, with ink and on paper each made separately, in only one factory in the world. And yet at any given time, there is at least $70 million worth of fake U.S. currency floating around, 75 percent of which is in $100 bills. In large part because of the advent of inexpensive scanners and printers, more and more fake bills are entering circulation: From 1997 to 2007, the amount of passed counterfeit bills nearly doubled, to $64.9 million. Professional fakers are making bills that are more convincing than ever. Take a look at the security flaws in the current $100 bills vs. the technology that will make the next $100 inimitable. 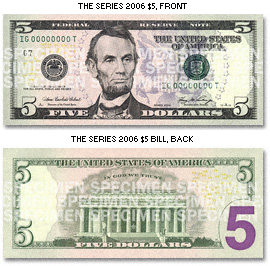 The new $5 bills, which entered circulation on March 13, 2008, are safer, smarter and more secure: safer because they’re harder to fake and easier to check; smarter to stay ahead of savvy counterfeiters; and more secure to protect the integrity of U.S. currency. In order to stay ahead of counterfeiting, the United States government continues to redesign our paper money. The $5 bill will be followed by a new $100 bill. Redesigned $10, $20 and $50 bills are already in circulation. The Vitamin D post brought this food facts table to mind! Good chart to print! 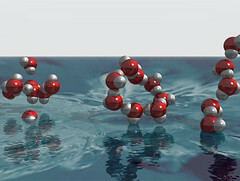 Scroll to the bottom of the table to get some truth about water. Good info indeed! Vitamin D was added to milk more than 50 years ago to successfully combat the common childhood bone disease rickets. But recent research indicates D is important to almost all body tissues. We are forever finding reasons to not get outside, but the primary source of D is The Sun. Low levels of vitamin D have been linked to increased risk of breast and prostate cancer, colon polyps, multiple sclerosis, Type 1 diabetes, muscle weakness — even depression and schizophrenia (insert my picture here). The New England Journal of Medicine says adults and children need 800 to 1,000 IU (international unit) of vitamin D supplement daily if they’re not getting enough sun exposure. After the age of 70 the skin does not convert vitamin D effectively, so the needed supplemental amount would increase. Vitamin D is produced when exposed skin has a photochemical reaction to ultraviolet light rays from the sun. Nearly all the vitamin D circulating in our bodies is made this way, with a typical white-skinned person in a bathing suit under a noonday summer sun in Canada producing about 10,000 IU in 15 to 20 minutes. Non-whites need about five times longer to make the same amount, because the melanin in their skin acts as a sunscreen against UVB rays. During the fall and winter, sunlight at Canadian latitudes is too weak to cause any vitamin D production. Vitamin D synthesis in skin occurs only when the UV index is three or higher, roughly the period around noon from March to October in southern parts of the country. A rule of thumb is that if your shadow is longer than you are, the sunlight is not intense enough. Some of the very few foods that contain vitamin D are: cod liver oil (1,300 IU per tablespoon); wild salmon (1,000 IU per serving); farmed salmon (250 IU); sardines (600 IU); fortified milk or orange juice (100 IU); egg yolk (25 IU); fresh shiitake mushrooms and some organ meats (traces in both). Most multivitamins contain 400 IU. Over-the-counter pills and drops contain up to 1,000 IU. 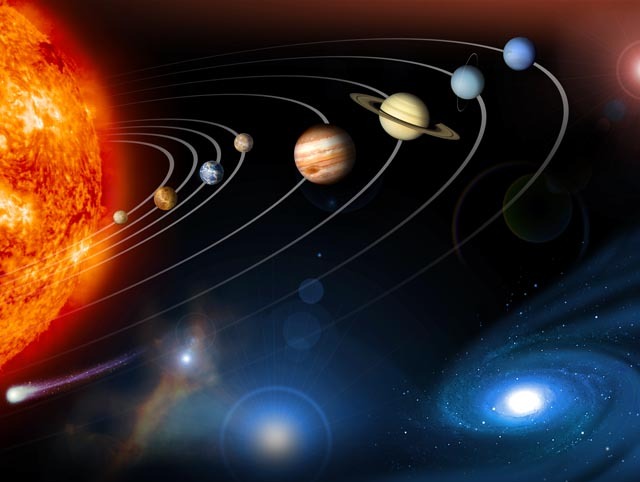 Over the past seven years, NASA Sun-Earth Connection Education Forum has sponsored and coordinated education and public outreach events to highlight NASA Sun-Earth Connection research and discoveries. This year’s main event will be on March 20, 2008. Sun-Earth Day is comprised of a series of programs and events that occur throughout the year culminating with a celebration on or near the Spring Equinox. Various events will prepare the audiences to watch a total solar eclipse on August 1, 2008 via a live webcast from China. * #61: What causes and Auroral Storm? * #60: Where does the Sun’s magnetic field come from? * #59: Where did all the Neutrinos go? * #58: Why is the Sun’s Corona Hot? 1. Solar flares can sometimes heat the solar surface to temperatures of 80 million F – far hotter that the sun’s core! 2. The fastest coronal mass ejection was recorded on August 4, 1972 and traveled from the sun to earth in 14.6 hours – a speed of nearly 10 million kilometers per hour! Large Binocular Telescope Gets Light! (Tucson, Arizona) — After more than a decade of preparation, the world’s most powerful telescope is now looking skyward with both of its massive eyes wide open. The Large Binocular Telescope (LBT) partners in the U.S.A., Italy and Germany are pleased to announce that the LBT has successfully achieved first binocular light. With this latest milestone, the LBT will provide new and more powerful views of deep space, including potentially answering fundamental questions about the origins of the universe and mysterious worlds in other planetary systems. Filed under: Astronomy | Comments Off on Large Binocular Telescope Gets Light!